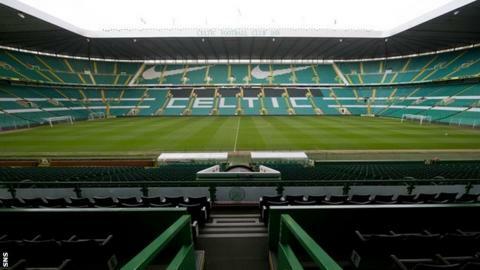 The Scottish Premier League has investigated Celtic's use of an employee benefit trust and says it is satisfied no rules were breached. The league concluded the scheme was legal and above board. BBC Scotland understands the case relates to the Brazilian player, Juninho Paulista. Meanwhile, the SPL has called for anyone with proof of other clubs using the EBT schemes inappropriately to provide evidence. EBTs typically involve an employer depositing money in a trust, which is paid out to beneficiaries in the form of tax-free loans but such payments should not be made on a contractual basis, as it would make them part of an employee's salary and subject to tax and National Insurance. during the period (2001-2010) they used EBTs for players. The inquiry will seek to determine whether the club broke rules over disclosure of payments to players. Rangers were relaunched by a new company earlier this year after the previous incarnation could not be saved from liquidation. However, the Ibrox side had their bid to take over the SPL share previously owned by Rangers rejected and the club was instead placed in Scottish Division Three. And, after announcing Rangers would not take part in the independent commission's initial meeting on Tuesday, the club's chief executive Charles Green claimed "more than two" clubs had used EBTs. An SPL spokesman responded: "The Scottish Premier League notes the recent statement by Charles Green suggesting that a number of other clubs may have used EBTs. "If anyone has any evidence that any SPL Rule has been broken by any club in relation to the use of EBTs, they should pass that evidence to the SPL or to the Scottish FA so that their claims may be investigated. "Separately, we have seen reports regarding an EBT in relation to a former player of Celtic FC. The SPL has investigated the arrangements and documentation in that case and has determined that there is no evidence of any breach of SPL Rules. The SPL has therefore decided that no further action should be taken." Follow Chris McLaughlin on Twitter.